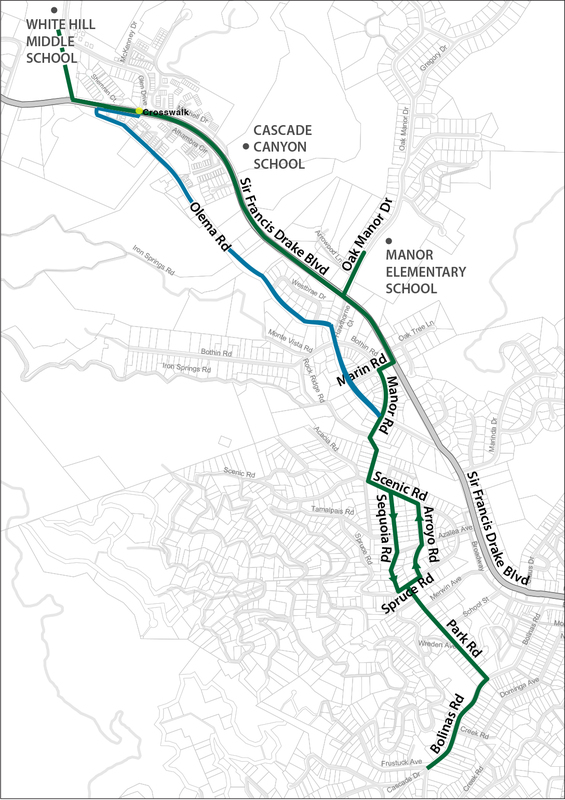 The Town of Fairfax has installed signage and street markings for identified bicycle routes to school. 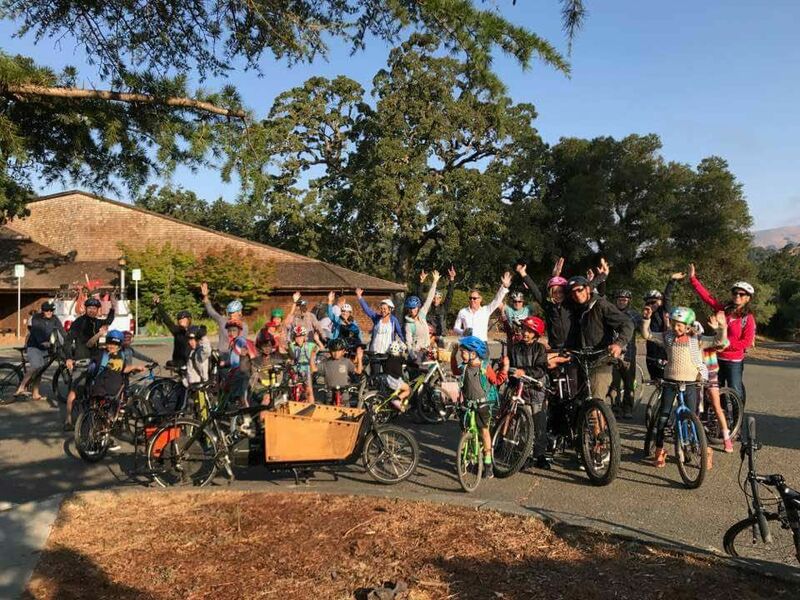 The goal is to improve the safety of the Town’s streets for student bicyclists, as well as increase awareness of motorists who share the road with them. Instead of biking along Glen Drive, use the new path off of Sir Francis Drake alongside the field. Once you are at the black top, dismount and walk your bikes past the gym and up the path towards our building. Our bike racks are on the south side of our building. The route runs along Bolinas Road, Park Road, Spruce to Arroyo and Sequoia Roads, Scenic to Manor Road, Marin Road to Sir Francis Drake Boulevard, and past Glen Drive. Some families prefer to stay on the side streets instead of using the official route along Sir Francis Drake. This route does not have bike lane or shared-lane indicators. 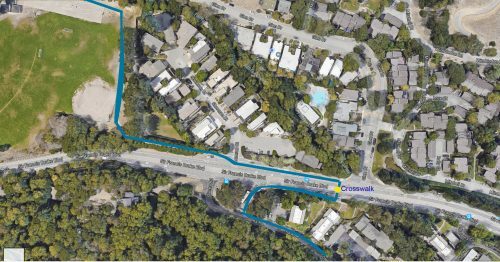 Families who choose to follow Olema Drive to school are advised to ride all the way down to Olema, avoiding the bus turnaround, then double back on Drake to use the official crosswalk near Glen Drive. Special school bike route pavement markings are strategically located along the route to notify both bicyclists and motorists of the location of the route: a shared lane (“sharrow”) along local streets and a bike lane marking within the Sir Francis Drake Blvd bicycle lane. The cyclist marker indicates bike-only lanes on town roads. A "sharrow" or shared lane marker indicates a route that is shared by cars and bikes.